After a VERY brutal winter and almost non-existent spring, my family is definitely enjoying summer time. Here in Northeastern Ohio, the weather has been absolutely gorgeous, with most days in the 70's and an occasional day in the low 80's peppered in. Basically beautiful weather to have some quality outdoor time as a family. One of the things we love doing the most is taking a walk down to the downtown riverfront area of our town. This is only a couple of blocks from our house, and offers a nice boardwalk with views of the Cuyahoga River, an ampitheater, some quirky antique shops and art galleries, and more. 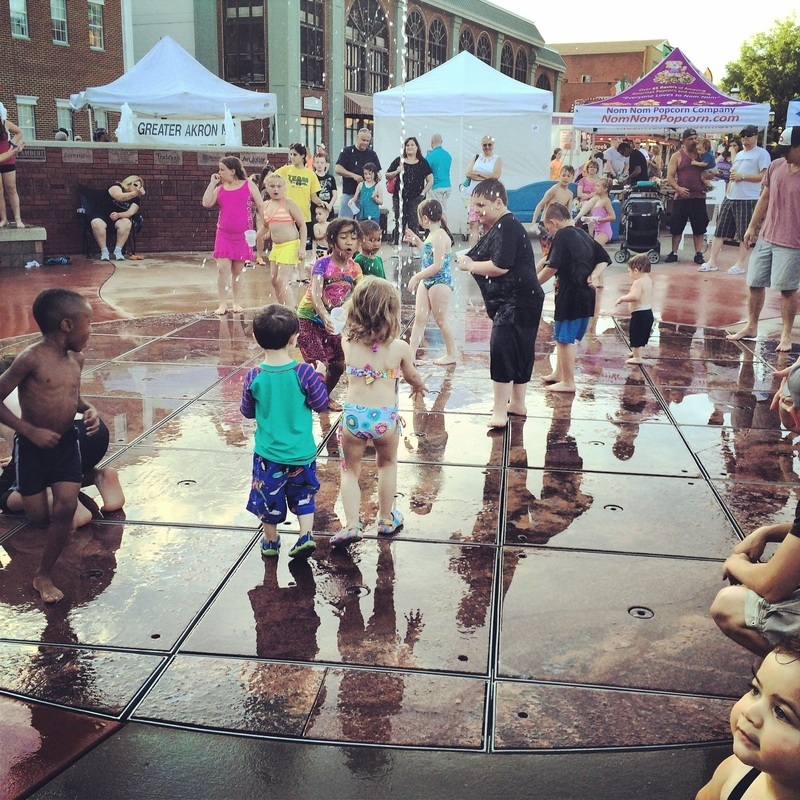 They even have live music every weekend during the summer, as well as fun festivals that attract the entire community. My kids' favorite thing about the riverfront isn't the food or the music. (Although they certainly enjoy those, too.) Their favorite thing to do is play in the fountain. There's a neat fountain that shoots several jets of water into the air in various patterns and intensities. This is open from morning till night all summer long, and it's definitely a preferred summer activity for local kids. Even my teen loves playing in it! A few weeks ago, my kids were thrilled to learn that they were finally going to splash in the fountain for the first time this summer. We were heading to see a Rush cover band that was playing, as well as hang out with my Dad and Step-Mom who are friends with the band. 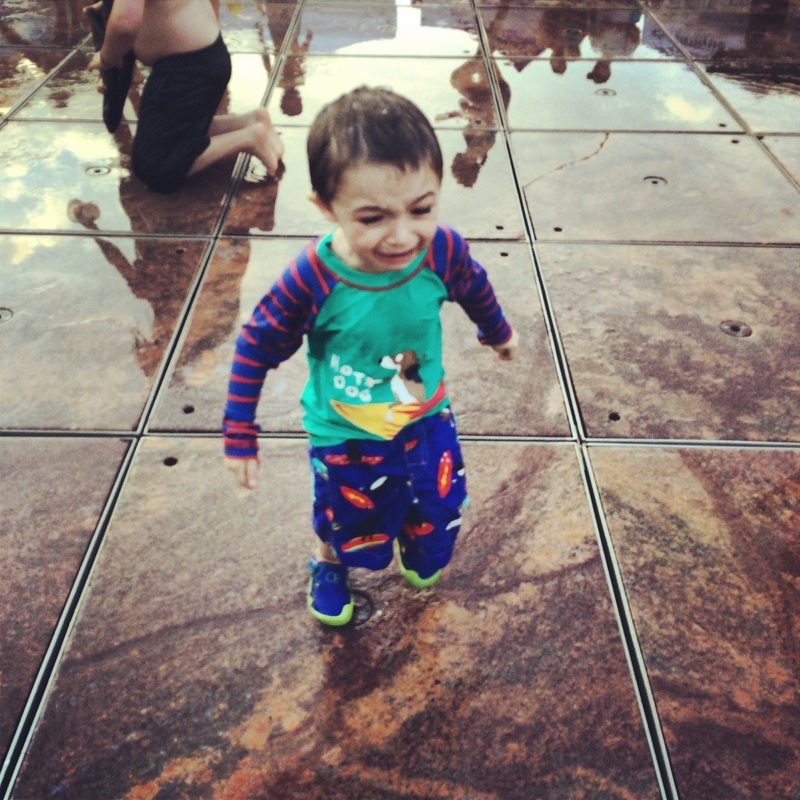 When we arrived at the riverfront, Sophie and Xander immediately hopped out of their double-stroller and went running for the fountain. 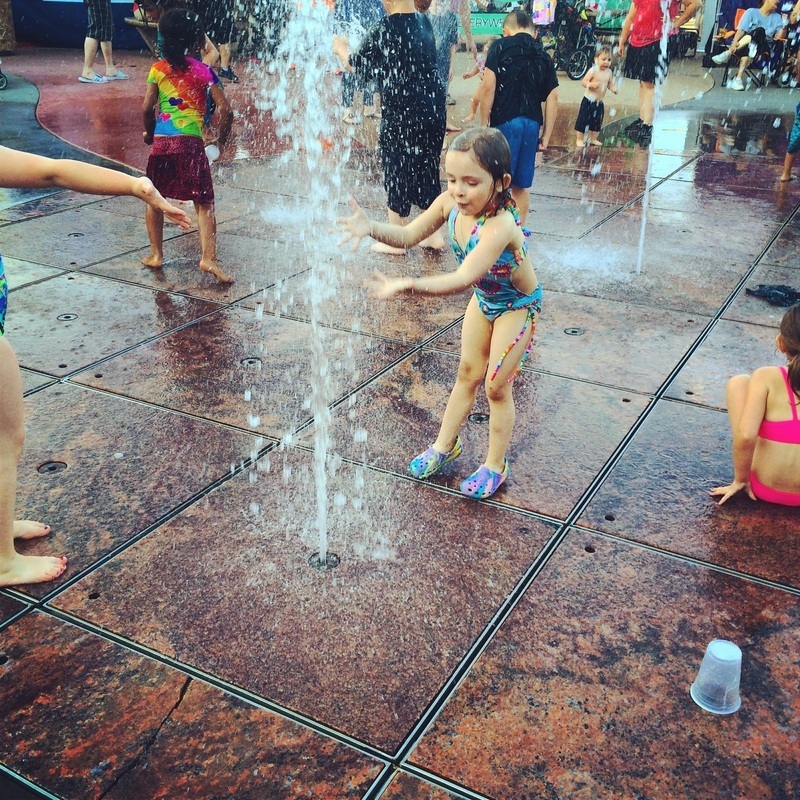 As you can see, there were quite a few kids enjoying the cool bursts of water on this hot summer day! Eventually, someone is going to get hurt. Usually it's tripping or being knocked over by another child. And unfortunately, Xander is the one who usually ends up getting all scuffed-up. Poor little guy. He never looks where he's going, and he's so little that bigger kids often don't see him. That's why no matter where we head during the summer, I always have my Puracyn first aid kit handy. This kit contains basic supplies to help fix any minor boo-boo, like scrapes, scuffs and scratches. 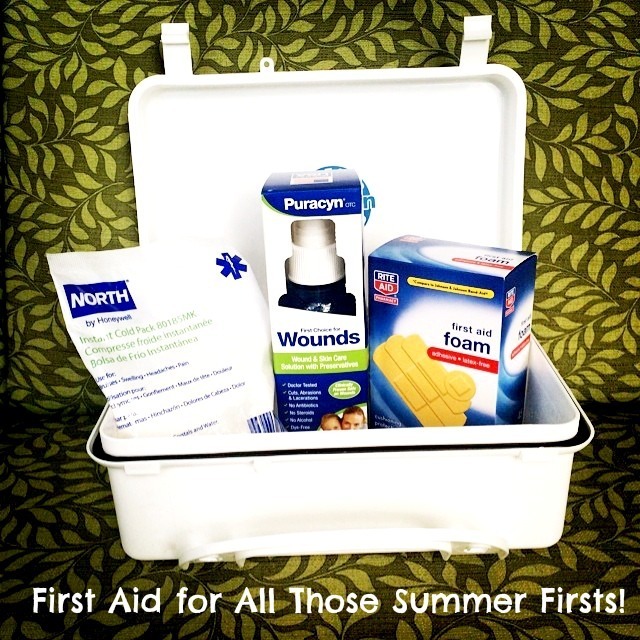 Included are a 4 ounce bottle of Puracyn® OTC Wound & Skin Care Spray, an ice pack, and even a box of bandages. 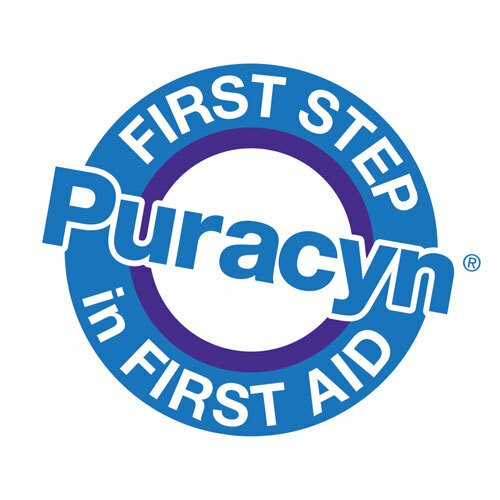 Why choose Puracyn® for wound care? Since almost half of all reported outdoor recreational injuries occur during the summer, it's very important to have first aid supplies on hand. Proper wound care can speed up the healing process as well as aid in preventing nasty infections. I love Puracyn because it doesn't sting, doesn't contain contain any toxic ingredients, and quite frankly, my kids don't throw a conniption fit when they see me break out the bottle. 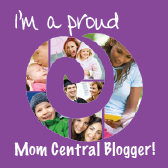 For me, that's reason enough to love this wound care product! 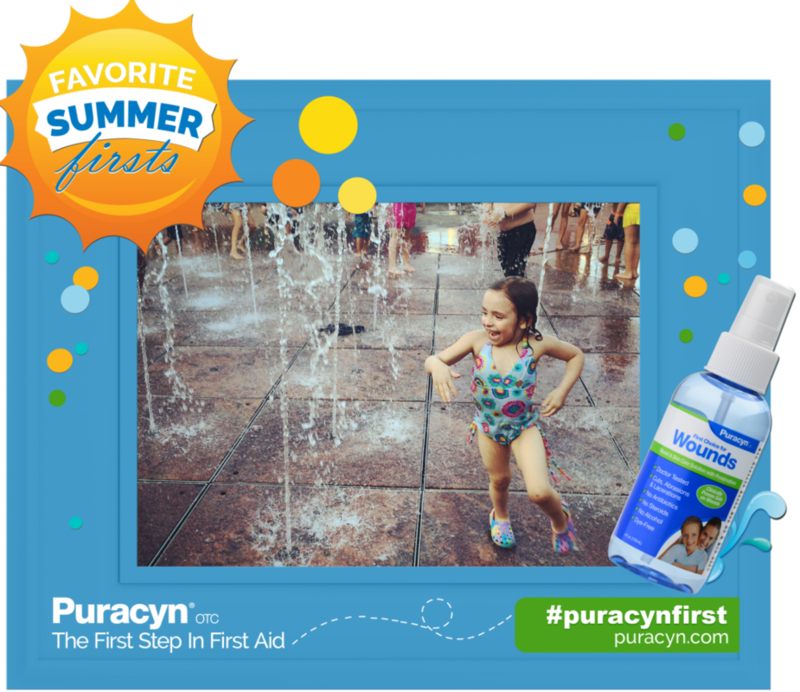 Puracyn® wants to see your Favorite Summer Firsts. Show them your first summer backyard bash, your first summer splash, your first summer outdoor adventure, or your first summer road trip… or whatever comes to mind… and you could win! One winner will be randomly selected each week on Thursday, July (3), 10, 17, and 24, to receive one (1) of four (4) Puracyn Favorite Summer Firsts prize packages, each valued at approximately $400. There's still time to enter this awesome giveaway! What would you rather win: a beachy-themed prize, or maybe a backyard BBQ package? Or maybe you're an avid camper? Enter this great sweepstakes for your chance to win one of these fabulous summer prize packages! 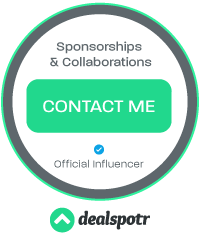 You can enter for your chance to win HERE. What are your favorite summer firsts? Do they often involve bumps and bruises like in our family?